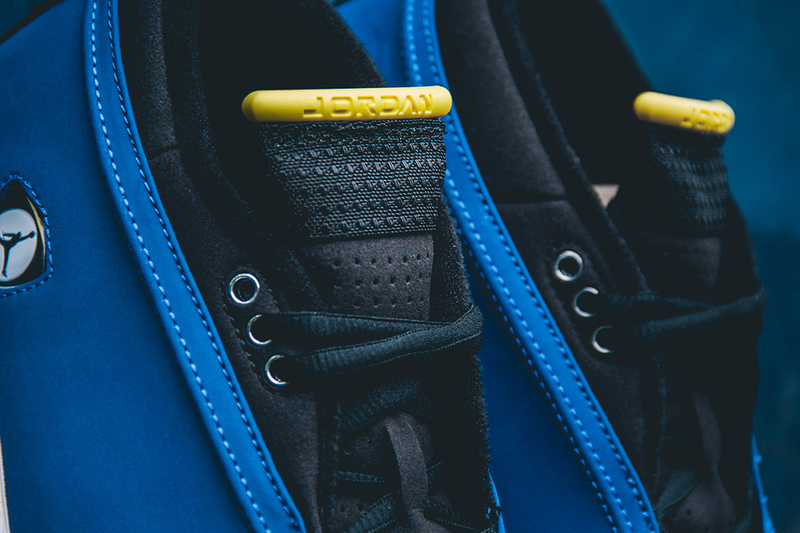 2014 has brought us a total of 5 different models designed after Michael Jordan's high school "Laney". 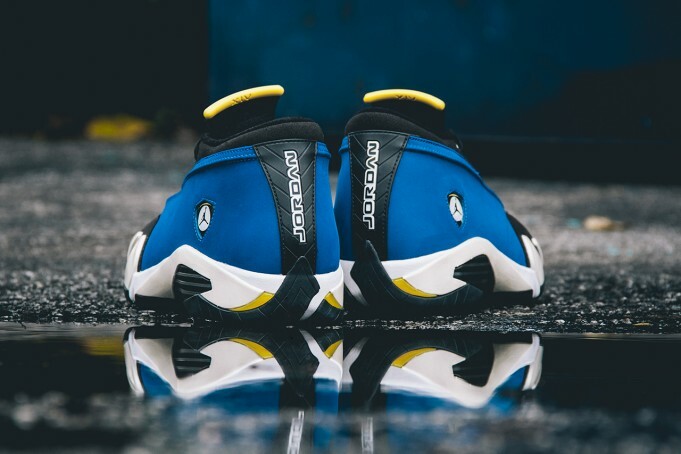 As we remember the year we got to witness the Retro 8 Laney as a GS exclusive, right after he pushed the Retro 1 Low, CP3, Retro 5 Laney " my personal favorite" and Retro 1 OG Laney. 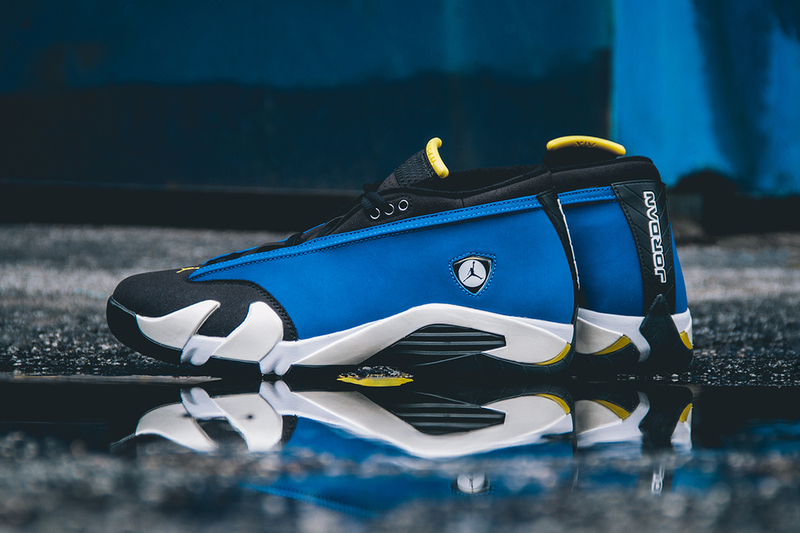 All of them had their respective place; but the Jumpman team like always saves the best for last, introducing the Retro 14 Low Laney. Jordan takes us back to his high school days, and drives inspiration from a public traditional school located in the Tar Heel state North Carolina. Established in 1976 and better known for it's alumni Mike, who recently remodeled the school with a Jumpman Logo. Keeping the HS tradition the Retro always come with school spirit driving their school colors BLUE and GOLD. Keep both your eyes open to the sneaker culture, cause these might get Hyped within the last days of release. 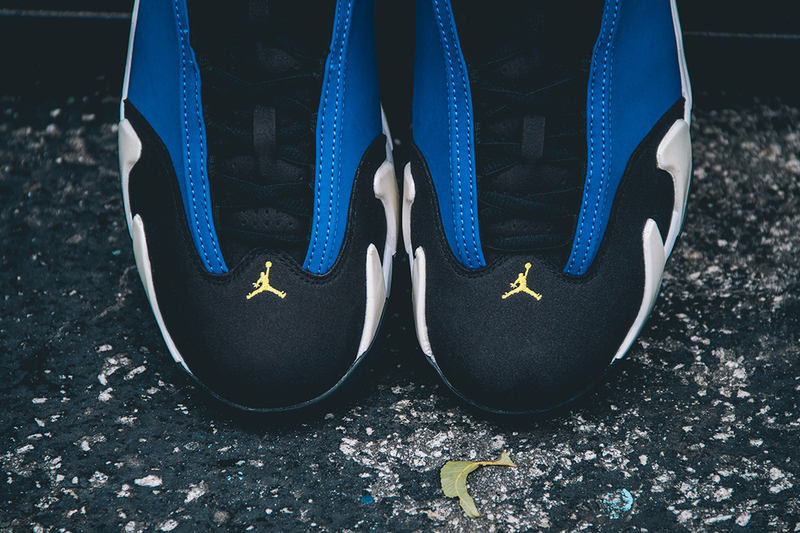 Laney 14's will start of with a nubuck suede black upper and a premium suede varsity royal. Hints of Gold Yellow will be splashed on the back heel 3 separate Jumpman logos, and the tip of the tongue with engraved XIV as a roman numeral number 14. the back heel will drive an exotic sport tire material, commemorating the inspiration of the shoe the Ferrari. Closing with a white mid-sole for contrast. Honoring your own high school with a shoe is just a major accomplishment, but releasing 5 in one year is Legendary. 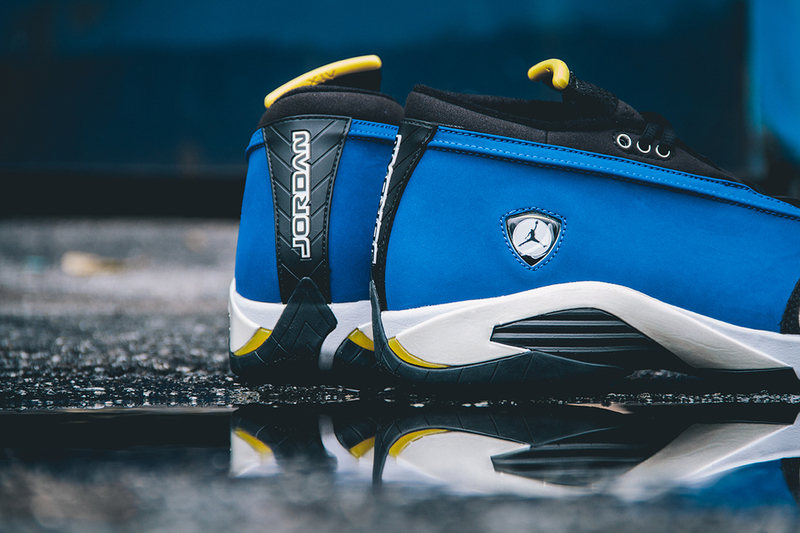 Don't miss out on the last Laney Jordan of the year. Again thanks for stopping by the Private_Blog, remember to Share, Like, and Comment. Stay Fresh !